It started with the caramel sauce. There's really nothing spectacular about it. I've made caramel sauce so many times before- just a mixture of sugar, unsalted butter and heavy cream. Except for the addition of salt- and it's no ordinary salt. It is the Fleur de Sel or "flower of salt" a hand-harvested sea salt in the island of Ré, off France's Atlantic coast. Can you imagine those workers scraping laboriously the mere top layer of the salt and bottles and export them all over the world? No wonder, the 8.8 oz little jar costs $14.95 at Williams-Sonoma. I hardly use salt when baking but I wanted to know how this special salt affects my food- or will it ever? 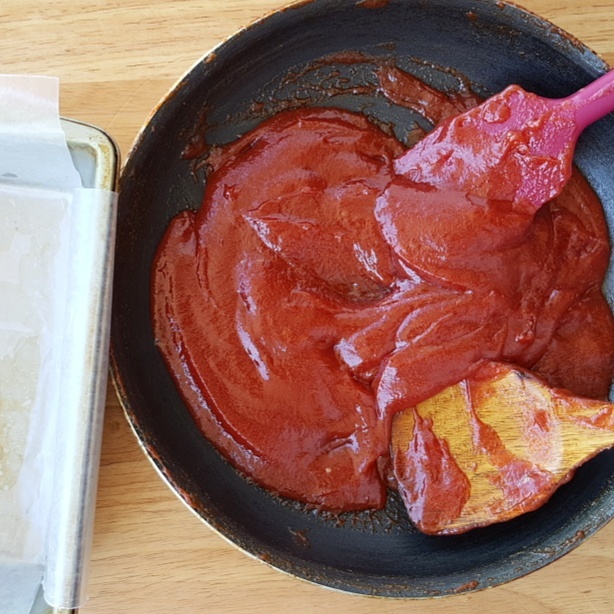 The process begins by placing the sugar in a medium sized sauce pan over medium heat. The sugar melts on its own without adding any liquid or water. Just leave it alone for a bit and just let the melting continue. It's going to start getting clumpy and at that point whisking briskly is a must or you'll burn the sugar. That explains why I'm missing some pictures. The whole caramel making process is easy but at a quick pace. Anyway, this is the finished product and I just sprinkled fleur de sel on top which dissolved right away. This is the perfect blend of buttery, sweet and salty and I have to use the same description in a previous post of some Thai dish- not one aspect overpowering the other but marrying well with each other to make a most delicious union. For this, I used a cup of granulated white sugar, a cup of heavy cream. 3/4 stick unsalted butter cut in cubes and pinches of fleur de sel. Melt the butter in a medium saucepan. Add the chocolate pieces and stir constantly over low heat until the chocolate is melted. Remove from heat and whisk in the cocoa powder until smooth. Add in the eggs one at a time, then stir in the sugar, vanilla, and lastly, the flour. Spread half of the batter into the prepared baking dish. 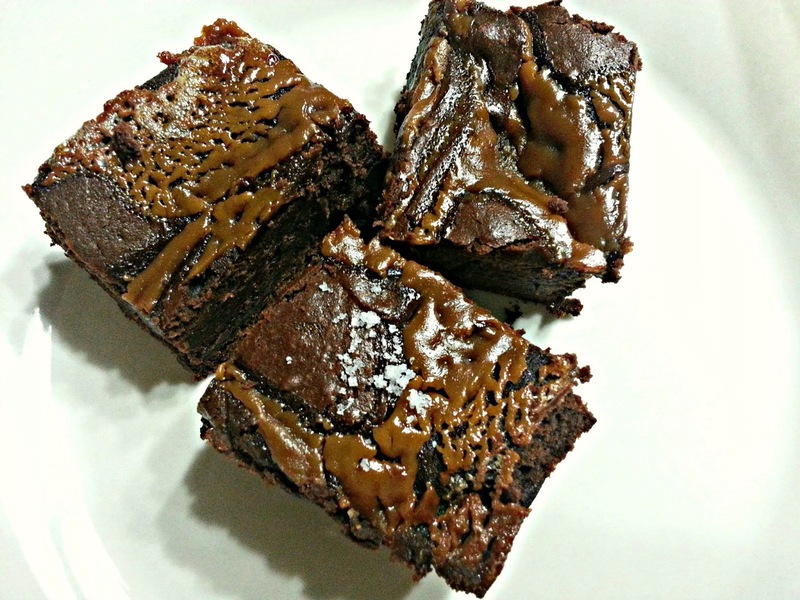 Spoon 9 dollops of salted caramel sauce on top of the brownie batter. Top with the remaining brownie mixture, making sure to spread evenly with a spatula. 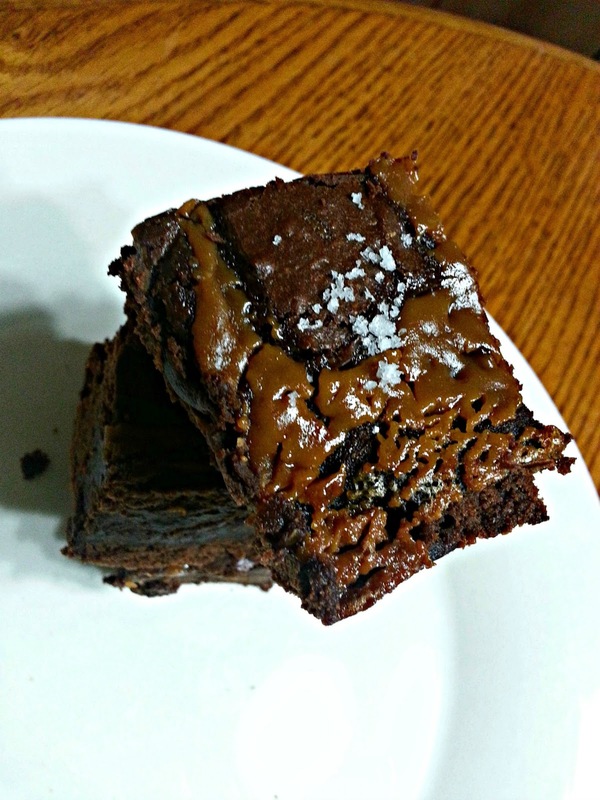 Then spoon anew 9 dollops of the salted caramel sauce on top of the brownie batter. Using a butter knife, gently run it through the batter to create a swirl effect. "That caramel looks positively spectacular! I bet it would also be great on cheesecake!" hi! could you also post the recipe for the caramel sauce? thanks! Hello! Sorry for the confusion but the recipe is right there in the post if you scroll down and read carefully. I will edit it and bolden the letters for you. Hi! I have a big problem. 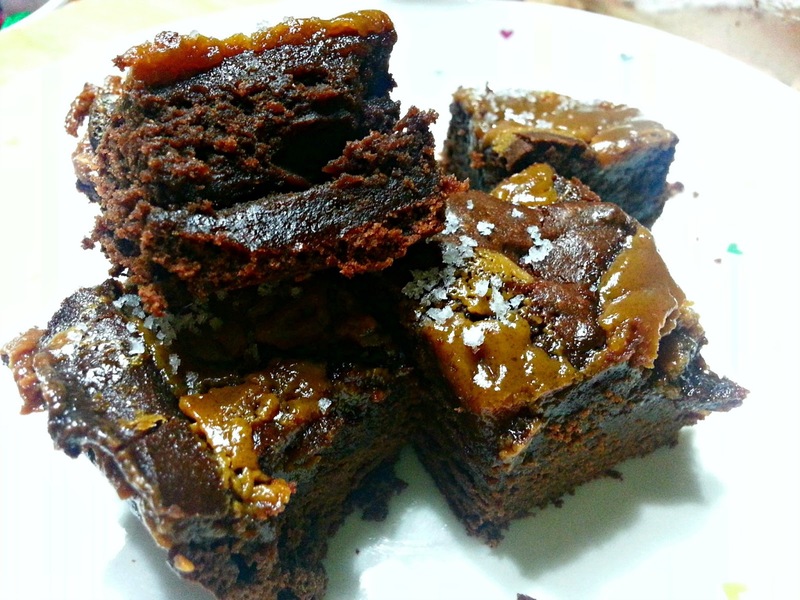 My caramel sauce ended up to liquid-y so my brownies did not cook. Do you have any idea what could cause that? Hello Anonymous :-) Maybe you added more cream than what is needed? Also, did you check your brownies for done-ness before taking the pan out of the oven? Baking time may vary depending on the performance of the oven and you can adjust the baking time until your brownies are ready.